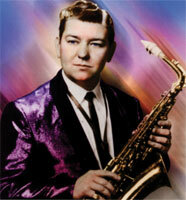 Saxophoniste US né Hubert Cannon, le 5 Mai 1934 à Grenada (Mississippi), Ace Cannon se mit au saxo à 10 ans. En 1958, on le retrouve dans les "Atomics" de Johnny Bernero. Il a enregistré des singles instrumentaux à la fin des années cinquante et au début des soixante chez Fernwood et HI et Santo Records. Depuis il poursuit une lucrative carrière dans la Country Music. 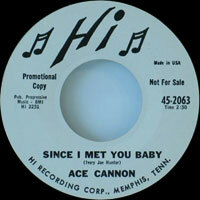 Ace Cannon est décédé le 6 Décembre 2018 à Calhon City (Mississippi). 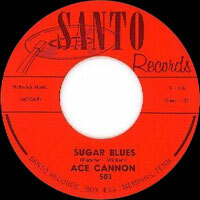 One of Nashville's premier session men from the late '50s through the early '70s, alto saxophonist Ace Cannon began playing at the age of ten and signed with Sun Records during the early days of rock & roll. He performed with Billy Lee Riley and Brad Suggs but then in 1959 joined the original Bill Black Combo, recording for the Hi label. He stayed with the band until 1961, when he made his solo chart debut with the instrumental "Tuff," which made it to the country Top 20. This in turn was followed by a Top 40 hit, "Blues (Stay Away From Me)," and a minor hit for the Santos label, "Sugar Blues." 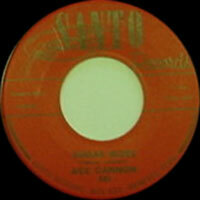 He had two more hits in the mid-'60s with "Cotton Fields" and "Searchin'," both recorded for Hi. A decade later, he became the subject of the 1974 documentary film, Ace's High. After moving to Nashville in the mid-'70s, Cannon's version of "Blue Eyes Crying in the Rain" became a minor hit and was nominated for the Best Country Instrumental Performance Grammy that year. 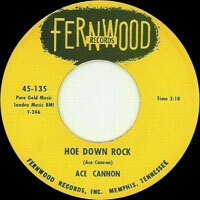 Cannon continued to perform into the '90s and frequently toured with such legends of early rock & roll as Carl Perkins. 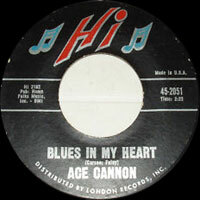 Ace Cannon passed away on December 6, 2018 in Calhon City (Mississippi). 1978 SP HI 78516 (US) . It Was Almost Like A Song / ? 1969 LP 12" HI HL-12046 (mono) / SHL-32046 (stereo) (US) IN THE SPOTLIGHT - You've Got Your Troubles / Goin'Away / Honey / Son Of Hickory Holler's Tramp / Words / Light My Fire / I Wanna Live / Release Me / Little Green Apples / Love Is Blue / Harper Valley P.T.A.